It's Scrapalicious Wednesday! That means another challenge awaits. 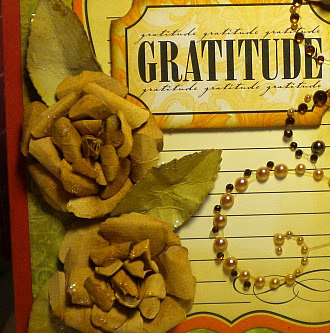 This week is about Thanksgiving. If you don't celebrate Thanksgiving, then how about anything you are thankful for? 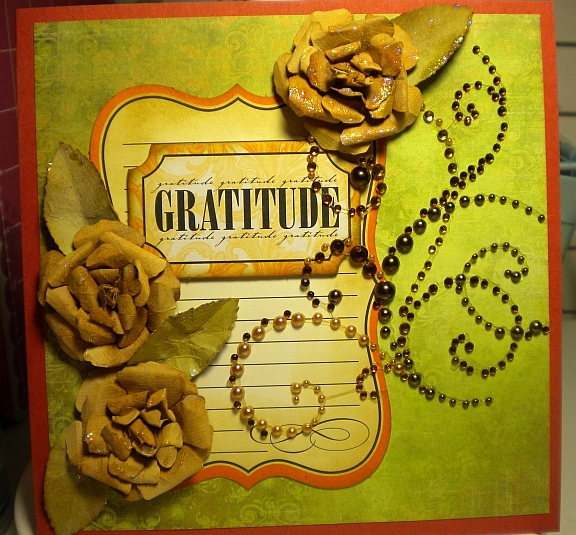 Here is a card I create using all kinds of items I acquired from the wonderful Scrapalicious USA store. This roses are something I am especially proud of and wanted to share one more time how I created them! Tim Holtz Distress Ink "Vintage Photo"
Awesome, I want to make one right now!! Very inspiring , Thank you for sharing..